As part of Develop PGH, PublicSource will report here about notable actions and conversations from the meetings of the City of Pittsburgh’s Planning Commission. The meetings are held at 2 p.m. on every other Tuesday on the 1st floor of the Civic Building at 200 Ross Street. Agendas and meeting minutes can be found here. 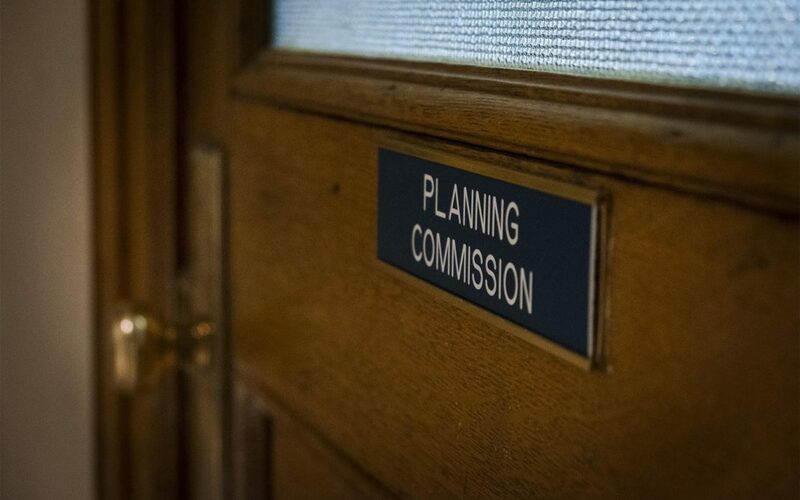 The Pittsburgh Planning Commission prodded city planners during its April 9 meeting about possible loopholes and unintended consequences of an inclusionary zoning ordinance proposal for Lawrenceville. The proposal, introduced in February to Pittsburgh City Council by Councilwoman Deb Gross, would apply only to Lawrenceville and would be on the books for just 18 months. Council could then decide on a six-month renewal. The planning commission will vote in two weeks on a non-binding recommendation to city council. Andrew Dash, assistant director of strategic planning at the City Planning Department, and Andrew McCray, a housing specialist in the department, briefed the commission and answered questions, along with Director of City Planning Ray Gastil. Commissioners said they will need more tangible examples of how the proposal could affect future rental and owner-occupied housing projects in order to be prepared for comments and questions from the public at the April 23 meeting. The Affordable Housing Task Force, established in 2014 to investigate possible solutions for a decline in affordable housing, gave Mayor Bill Peduto and city council several recommendations in 2016, including the use of inclusionary zoning. If passed, the ordinance would require developers in Lawrenceville to reserve at least 10 percent of new or rehabilitated units for households that make no more than 50 percent of the area median income [AMI], if the development projects include at least 20 housing units. The units would remain income-restricted for 35 years, according to the proposal’s current language. The proposed ordinance would also allow for community land trusts to utilize deed restrictions, which would allow them to sell a house at a below-market price to families making no more than 80 percent of AMI. In a future sale, that family would have to sell the home to another moderate-income family at a below-market price. That approach was something that Commissioner Becky Mingo challenged. “I have a hard time trying to justify why I would be part of restricting the wealth accumulation of a low-income person,” Mingo said. Gastil said the commissioners’ concerns over deed restrictions were crucial questions. The language in the proposed legislation came from recommendations from the Inclusionary Zoning Exploratory Committee, which Peduto formed with an executive order. At Tuesday’s meeting, commissioners also said they wanted clearer explanations of how city staff would enforce the ordinance and apply several development restrictions meant to encourage the building of more affordable housing units in Lawrenceville. Commissioner Sabina Deitrick said she wanted to see information on development in Lawrenceville in the last five years, including the number of projects completed and how much building is being done there now. Mondor said the ordinance would remake how planning commissioners do their business, from a project-by-project approach to a broader view of developments in Lawrenceville. That will require more local real estate data to make decisions on projects and more front-end preparation from city staff. “The fundamental shift in this ordinance is it takes the city from reviewing plans to doing portfolio management,” Mondor said. Gross, who attended Tuesday’s meeting, said she thought the commissioners raised important questions, but nothing that she thought required any major changes to the proposed legislation. “I think we’ll be able to make them more comfortable in two weeks’ time,” Gross said after the meeting. Tuesday’s meeting did not include public comment on the proposal. Those will be part of the April 23 meeting, when commissioners vote on a recommendation. The meeting is scheduled for 2 p.m. on the 1st floor of the Civic Building at 200 Ross Street. Tom Lisi is PublicSource's Develop PGH reporter. You can reach him at 412-368-6480 or by email at tom@publicsource.org. South Side could see a distillery and upscale market on McKean Street and 2nd Street, adjacent to the riverfront by Station Square, according to plans presented to the Pittsburgh Planning Commission on Tuesday. The developer, 129 McKean Street LLC, wants to return some of the building to its 20th-century use as a distillery, though no occupancy deals are in place yet. The address was once home to Joseph S. Finch & Co., the last whiskey distillery in Pittsburgh before Prohibition, according to the developer. The building renovation is part of a $4 million development that includes a new six-story building next to the original former distillery building that the developer hopes will include retail space for the growing stock of office and residential buildings in the area. “The Highline’s doing a ton of office, Glasshouse is doing residential, so we figure, ‘Let’s just give them amenities,’” said Bill Stolze, a partner in the McKean Street development. The Highline is a $100-plus million development from McKnight Realty Partners modeled after the High Line in New York City. It will feature an elevated walkway and a revamped Terminal Building in Station Square with office and retail space. The Glasshouse, a $70 million 319-unit residential development in Station Square, is set to open this year, according to Dallas-based developer, Trammell Crow Company. “We’re hoping to provide happy hour, shopping opportunities — an entertainment destination, basically,” Stolze said. Planning commissioners are set to vote on the project in April. Downtowners and Pirates fans will soon see a new Pittsburgh-centric mural across the river from PNC Park to cover up a nine-story parking garage on Stanwix Street on the north end of the Golden Triangle. City planning commissioners approved the public art proposal from the City Planning department that will feature familiar faces of Pittsburgh history. The historical figures in the mural design include Andy Warhol, August Wilson, Rachel Carson, A. Philip Randolph and Andrew Carnegie, among others. They will be depicted on 80-foot tall banners that will face north toward the baseball park along Fort Duquesne Boulevard and west along Stanwix Street. Several residents from Gateway Towers, a nearby condominium, expressed concerns that the mural would not match the aesthetics of the surrounding area and that the public process did not include informing nearby residents of the proposal. City planners said the process for such a public art project does not include taking input from residents outside the Planning Commission meetings. Yesica Guerra, public art and civic design manager in the City Planning department, said she expects the mural to go up in May.